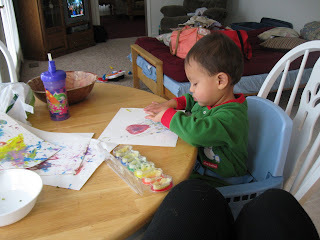 Aaron has discovered crayons and finger paint. The cool thing with this finger paint is that it only makes messes on the special paper. 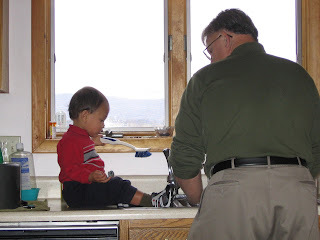 Aaron loves water as I mentioned before and here he is helping grandpop was dishes. I met a couple families that also have children that are adopted. We had a good time visiting each other and telling stories. 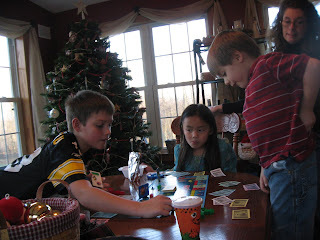 It is fun to visit with other families. Well we begin to prepare for the Christmas season. I hope to post pictures soon.